Winner + Sneak Peek: New Knitter's Pride Products! We've got three lucky winners for our Knitter's Pride Shawl Pin giveaway this month: AMyers, knittingdancer and sherryglover1, we will be contacting you via Ravelry PM to arrange for the delivery of your prize. Congratulations! Our crowd-pleasing cuboid shaped needles are now available in shiny brass! 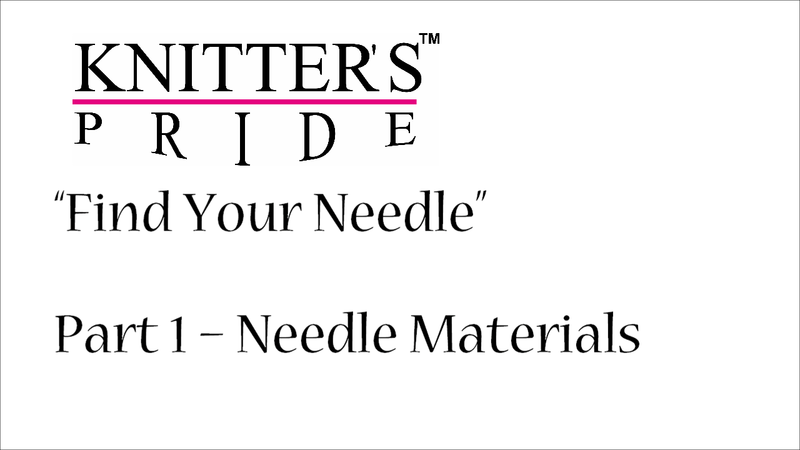 These new needles will be available in Single Point, Double Point, Fixed Circular and Interchangeable and will also include sets for these options! 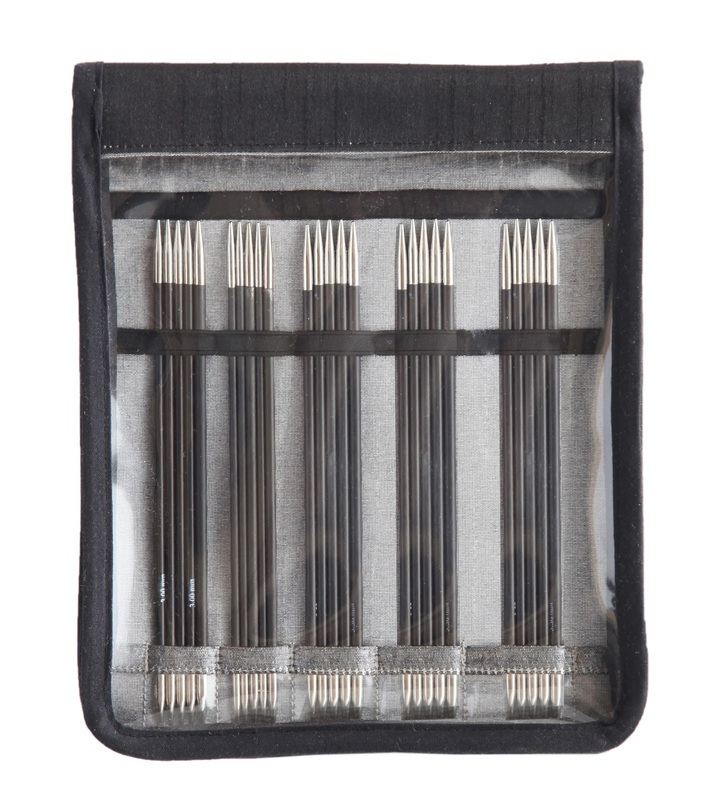 Enjoy expanded size options for Interchangeable, Double Point and Single Point Karbonz needles! Our high-tech carbon fiber needles with brass tips are a real crowd-pleaser, and now you can choose from several Karbonz DPN and Interchangeable sets to add to your needle collection. Our newest range of knitting needles and crochet hooks is made with the finest Japanese bamboo! Our Bamboo circular needles all feature 24k gold plated connectors, giving us a "gold edge" over other bamboo needles on the market! Choose from Single Point, Double Point, Fixed Circular and Interchangeable knitting needles and Single Ended and Tunisian crochet hooks. We also have knitting and crochet sets in this exciting new line! Our new color-coded aluminum crochet hooks with soft grip handles are vibrant and trendy. They're available in thirteen individual sizes or as a set featuring 9 hooks in an attractive pink or green case. 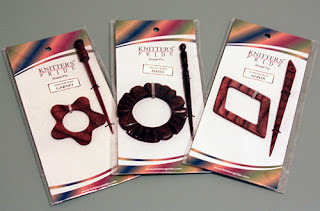 Get to know Knitter's Pride with our new sampler set which includes interchangeable tips from our Karbonz, Bamboo and Nova Cubics needle lines! We are introducing a range of lace blocking accessories this fall, from wires and T-pins to interlocking mats. Now it will be easier than ever to achieve a beautiful project from start to finish with Knitter's Pride products - be sure to ask about our other new accessories at your LYS, too! In the Northern hemisphere, summer is heating up. What's a knitter or crocheter to do?! 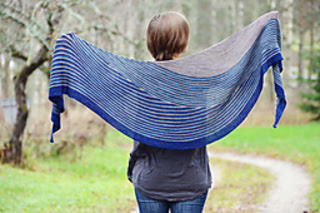 There are lots of small projects that are ideal for the dog days of summer, but our trip to the TNNA Trade Show last month has filled us with plenty of inspiration for summer shawls. They're great for keeping warm on cool summer nights (or in air conditioning, as the case may be! ), and they're also a wonderful way to accessorize! 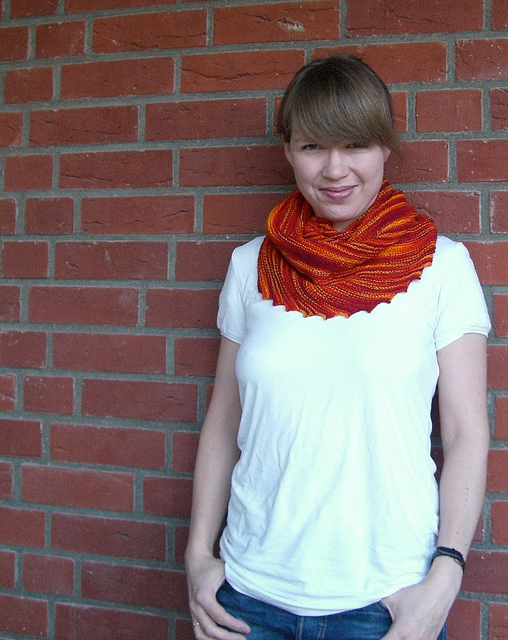 Veera Valimaki's Color Affection is still the #1 shawl we see when out and about, but she has many other creative patterns that will delight knitters of all persuasions! 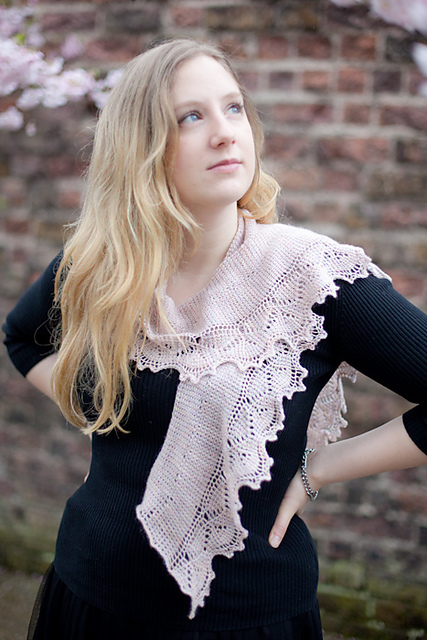 Another popular shawl pattern is Martina Behm's Hitchiker, which is part of an ebook contain four unique shawl patterns, all of which are great destash projects! 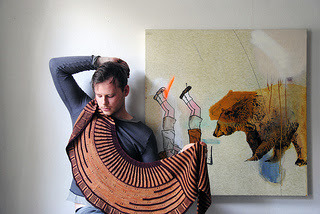 We also spotted plenty of Stephen West shawls at TNNA: from Daybreak to Rockefeller, Stephen has a shawl design that is sure to suit your taste and skill level! When it comes to crochet shawls, Aoibhe Ni continues to stun with her crocheted creations using the Tunisian crochet technique! Many of her patterns are available for free on Ravelry, too! We've got three chances for you to win a Knitter's Pride Shawl pin this month! Simply leave a comment on this post telling us which shawl you are currently working on (or what's at the top of your shawl-knitting queue) for your chance to win! Don't forget to tell us your Ravelry ID or email address in case you win, too. We'll randomly select 3 lucky winners to announce on our next blog post!